Preview the 2019 Winter-Spring Playbook or register online. Preview the Summer Playbook, or register online. If you’re getting in shape for an upcoming surgery or looking to transition from your health care professional’s care to your own conditioning program, we have programs for you. Learn more. Combine peaceful times in the hot tub, steam room and sauna with a quiet time in our indoor warm water pools. Learn more and see times. As Bend Park and Recreation District encourages everyone in our community to Play for Life, we are here to help you make the most of your fitness with targeted therapeutic fitness programs which research has shown to offer health benefits. Whether you are seeking low-impact and light-intensity, cardio, strength or mobility, you can take a class or work individually with an instructor or trainer to get back on track. All classes are designed to help you make the modifications recommended by your health care professional. We’re here to help. BPRD has numerous options for you whether you are transitioning from physical therapy or beginning a dialogue with your physician to discuss your exercise plans. Contact us to keep moving to enjoy your Bend lifestyle. Bend Park and Recreation District features three therapeutic fitness program options to ensure you can Play for Life. Individualized Fitness Programs: It’s like having your own fitness coach! Beginning with a personal consultation, your unique needs will be assessed and individualized sessions created to meet your fitness goals. Therapeutic Fitness Registration Classes: Specially-designed for particular conditions or to achieve specific health goals, these registration classes are focused on common issues and tend to be low-impact and low-intensity classes centered on muscle strengthening for stability and mobility. Drop-In Therapeutic Fitness Classes: Join in regular weekly fitness classes that match your needs for recovery, chronic conditions and injuries. Use your Drop-In or Full-Access Pass. Get started: Not sure where to start? Contact our Fitness Team at (541) 706-6188 and our expert staff can help you find the right classes to achieve your personal fitness goals at your own pace. 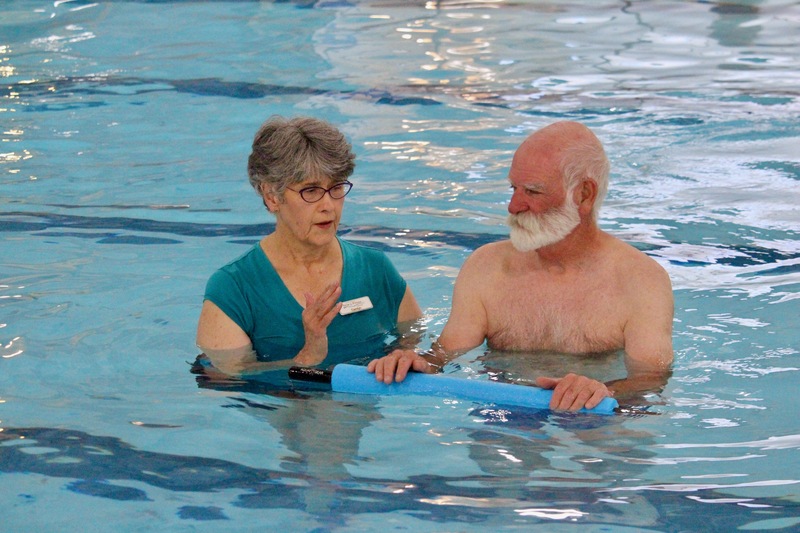 Water Exercise can help with many conditions; back pain, stroke, fibromyalgia, MS and joint pain. 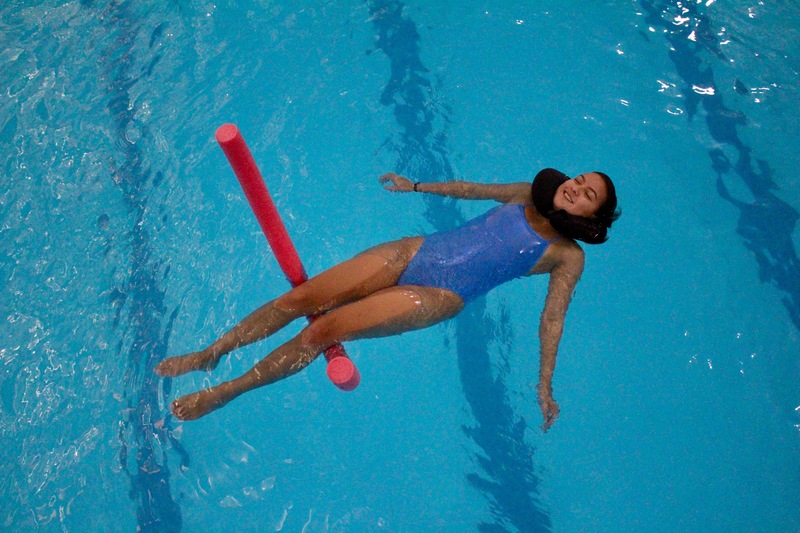 Water buoyancy reduces compression on the joints and spine, while water resistance improves range of motion (ROM), balance, flexibility and strength. Contact our fitness team at (541) 706-6189 to schedule your personal therapeutic consultation. For regular weekly fitness classes specially designed for recovery, low-impact and chronic conditions and injuries, you can find a class that matches your needs and use your Full Access Pass. Learn more, see current offerings. 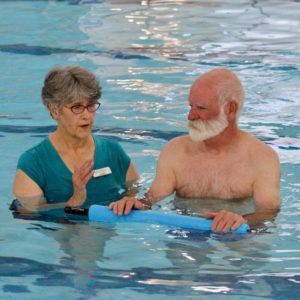 Research has shown that pre- and post-habilitation therapeutic fitness in the water can make a huge difference in patients’ outcomes. Improve your strength and range of motion as you recover from an injury or surgery, or prepare for surgery proactively. A lively, fun chair exercise class with upbeat, varied music to help you move more freely and without pain. Program designed by the Arthritis Foundation. Consists of a series of gentle exercises which focus on improving strength, flexibility, balance, range of motion and cardiovascular fitness in a friendly, supportive social setting. Designed by the Arthritis Foundation, this is a great program for people with arthritis, fibromyalgia, and anyone seeking relief from chronic pain or conditions. Specially designed for particular conditions or to achieve specific health goals, these registration classes are focused on common issues and tend to be low-impact and low-intensity classes centered on muscle strengthening for stability and mobility. Learn more, see current offerings. Don’t let back pain hold you back! Yoga has been scientifically shown to benefit many with back pain. This gentle yoga practice focuses specifically on back care with individualized instruction. Using poses and breath work, you’ll build the framework for your back strength and health while promoting awareness and self-discipline. Poses are practiced on the floor and standing with wall and chair support. Ages: 50 & up. As we age, a loss of balance can lead to fear of falling which often results in a decrease in quality of life. This multi-faceted program emphasizes safety, builds new skills to maintain balance and helps to provide the confidence to remain active and healthy throughout our mature years. Class taught by certified Arthritis instructors. For regular weekly fitness classes specially designed for recovery, low-impact and chronic conditions and injuries, you can find a class that matches your needs and use your Full Access Pass. Learn more, see current offerings. If you are expecting, you are welcome to join in any fitness class. Classes are ongoing and you can start any time after you receive a doctor’s or midwife’s approval..
We offer weekly Prenatal Yoga and Water Exercise classes in that incorporate specifically designed, gentle-paced cardio with strength and stretching exercises that follow the American Congress of Obstetrics and Gynecology guidelines. After your six week check-up, come exercise with your baby at your side in a supportive environment in Baby & Me Cycle or Baby & Me Yoga. We’ll help you lose the baby weight, regain strength and tone your body as you connect with other parents and guardians in a supportive community. Babies welcome from 6 weeks to crawling. 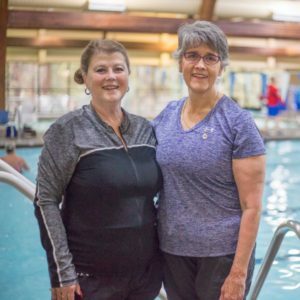 Read this feature article about our Therapeutic Fitness programs and participating patrons who have found success in the program. Fitness passes through health plans? Ask us how. You may be eligible to receive no-cost or low-cost fitness passes through your health plan. To learn more, ask the staff at the Bend Senior Center front desk for details. Are you a PT or health care provider looking pool or fitness opportunities for someone under your care? Learn more.